Another clean round in Challengers for Komoly!!! Maybe 7th place or so but I left and didn't check scores. LOVED this event! Great fun and super challenging courses which were so much fun! Super technical coursework has always been my preference, so these made you commit to handling from start to finish. I'm also very pleased with how stable Komoly was, and how Phlox worked in maximum drive, unfazed by anything and running really fast! She was just terrific!! Nyalka was the most relaxed he has ever been at a high level event and Glock worked hard as always! Komoly with a 5th place finish!!!!! So proud of my hard working boy! A long competition day finishing with Nyalka, Komoly and Phlox in the Speedstakes final! 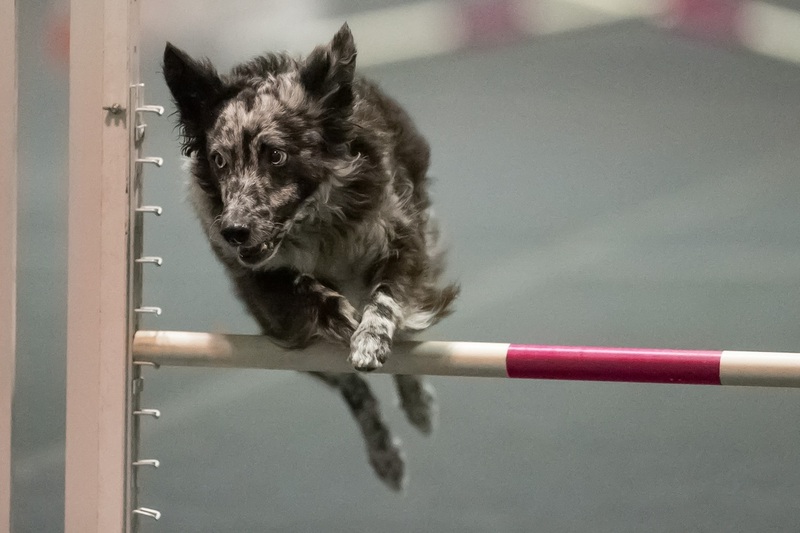 Speedstakes is a jumpers course built for speed! Nyalka had two bars but ran well, Komoly ran clean and I think has a 5th place finish!! And Phloxy was so excited she rushed a cue but then continued with a good run..... She is running faster than she ever had on these huge running courses! I can't believe my legs held out after 16 runs today of long courses. 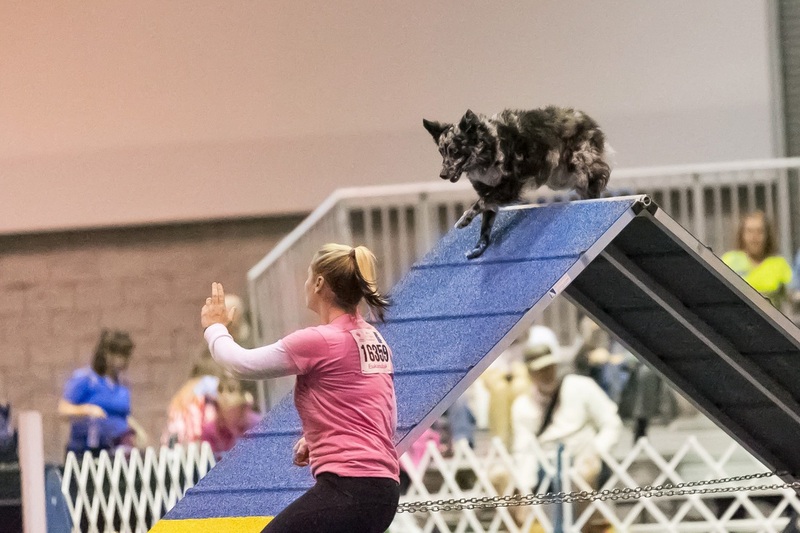 The jumpers course was so brutal most eliminated as we just couldn't get where we needed to be for how fast our dogs were! Another great day where we are challenged to a new level!!! So much fun! Team "Hungarian Bratz" Highest Scoring Rookie team! 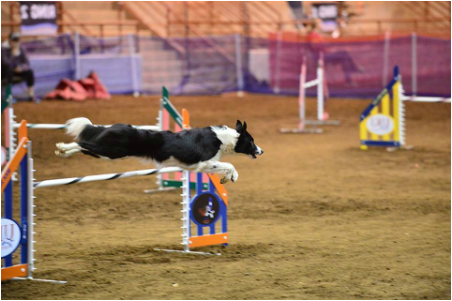 6th place finish overall, Kris Seiter center with Anwar (the rookie-under 2 years old) Chris Tucci with Bratska and me with Komoly who is 3 1/2 and a newer completion dog!! Very proud of our team accomplishment!!! Not everything will go the way you want it to, its a matter of learning that life isn't just handed to you. "Image by GreatDanePhotos copyright 2014. Used with permission"
"Image by GreatDanePhotos Copyright2014. Used with permission"
learned to work together as a team. He was running a few seconds off his normal speed which had to do with the rubber flooring and the environment. He ran clean the first three rounds which had him ranked 9th going into round four. He made a slight error and skipped one weave pole as something distracted him. I didn't see this happen so I was unable to fix it. I only heard the judges whistle as I was further along in the run, and when I finished a friend told me what happened. I am still very pleased with Nyalka working through his sensitivities, putting out nice fast runs showing his skill and determination. I couldn't have asked him to do any better! 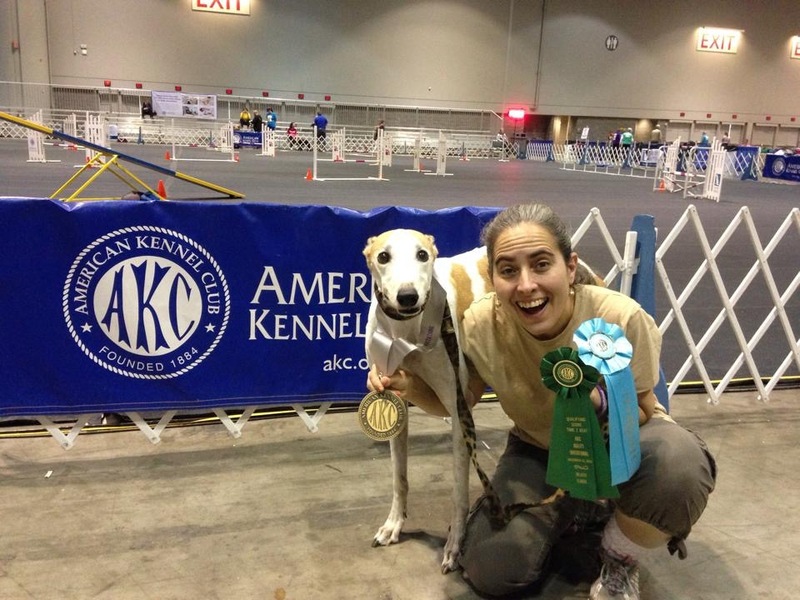 I traveled this year with my student Lisa and her rescued greyhound Dali. 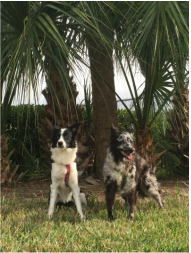 Lisa and Dali started agility with me 6 years ago because Lisa had a friend who wanted to try agility with her dog. 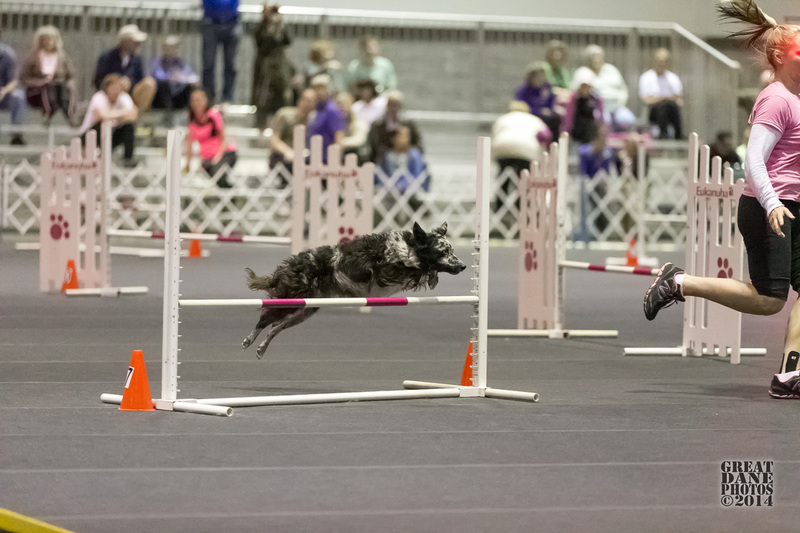 Who does agility with a standard greyhound? 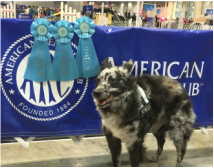 Lisa had a natural ability as a trainer and quickly adapted to mastering all the challenges I gave them in beginner class. I truly appreciate students who love the process of learning with their dog and the amazement when then do the unthinkable. 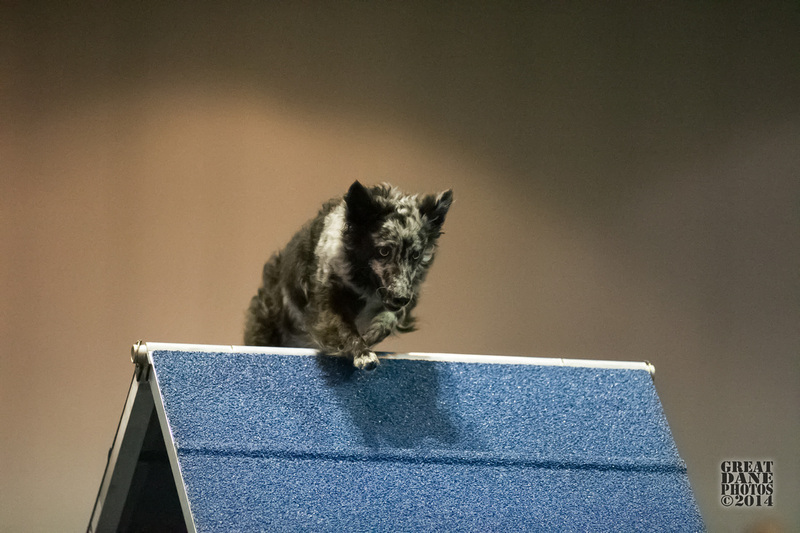 Dali has the perseverance of a Terrier, the intelligence of a Border Collie, and the kind soul of a greyhound of course! Watching them progress has been so much fun and when they were invited this year to the Invitational it was a delight to see them perform so well. 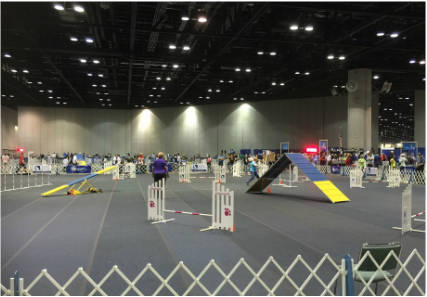 He returned to Florida to compete as one of the Top Agility dogs in the country instead of racing on the track he was rescued from. 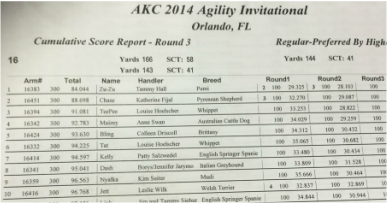 Dali ran 3 rounds clean and the fastest Standard run I have ever see him run! He won the highest scoring Greyhound breed Medallion with his terrific performances. Dali shows us what a true Champion is! Winners forget they are in a race, they just love to run.